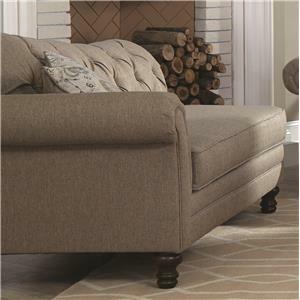 The foam filled bench cushion will make this loveseat one of the most comfortable seats in the house. Rolled panel arms and a reverse camel back offer unique shape to the piece, while diamond tufting presents traditional style. 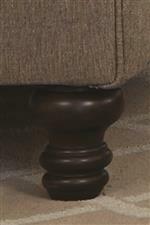 The Carnahan Traditional Loveseat with Turned Legs and Rolled Arms by Coaster at Value City Furniture in the New Jersey, NJ, Staten Island, Hoboken area. Product availability may vary. Contact us for the most current availability on this product. 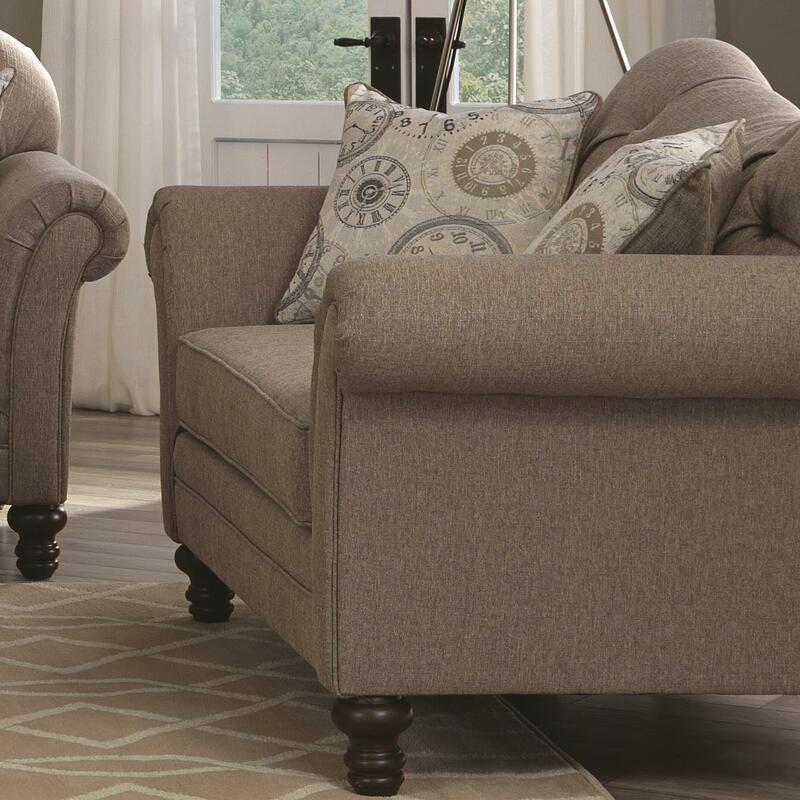 With traditional style abound, the Carnahan collection will offer your living room plenty of comfort. 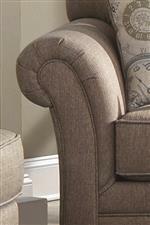 Each piece features a reverse camel back design that showcases diamond tufting. Turned legs support the bases and rolled panel arms complete the look. Available pieces include a sofa, loveseat, and chaise. The Carnahan collection is a great option if you are looking for Traditional furniture in the New Jersey, NJ, Staten Island, Hoboken area. 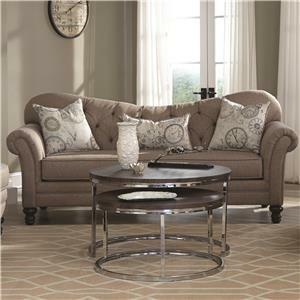 Browse other items in the Carnahan collection from Value City Furniture in the New Jersey, NJ, Staten Island, Hoboken area.